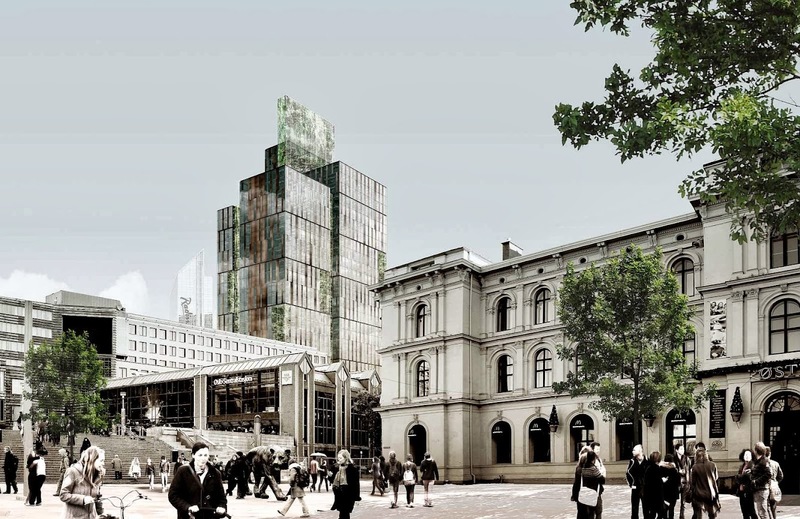 Urban Mountain is a proposal for a refurbishment and extension of a 50,000-square-metre high-rise office building in central Oslo. 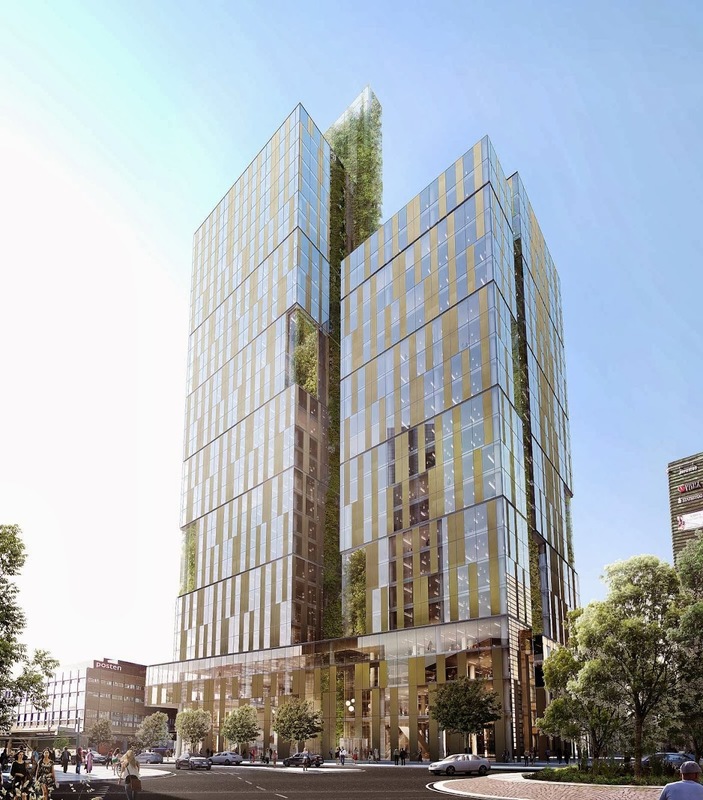 The project introduces completely new and innovative ways of reducing energy consumption and the building’s Co2 footprint, employing Cradle to Cradle principles and targeting a Breeam Outstanding certification. 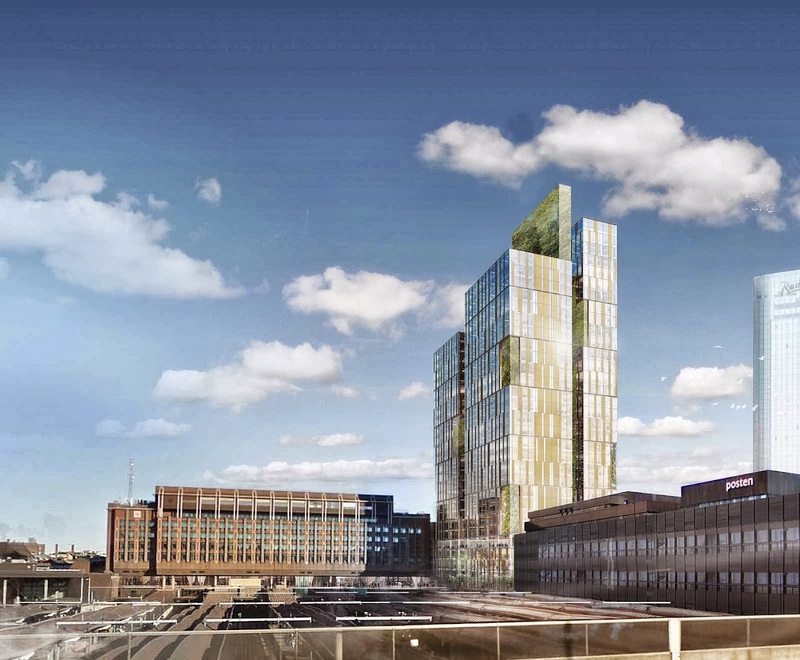 When the refurbishment is complete the building will reach a total size of 79,000 square metres and will be a sustainable landmark for the city of Oslo. 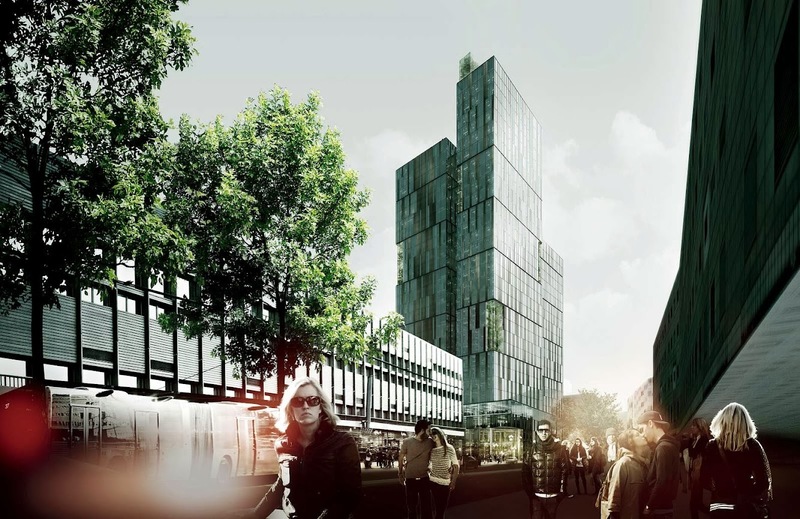 the building will be the tallest in Norway and the first high-rise building in Norway to enjoy natural ventilation. Based on principles from Cradle to Cradle (C2C) thinking, as much as 90% of the demolished existing materials are being recycled into new and upgraded building materials; 80% directly used in the new refurbished building. As an example, all the façade elements from the existing building are being re-used in the new façade design. 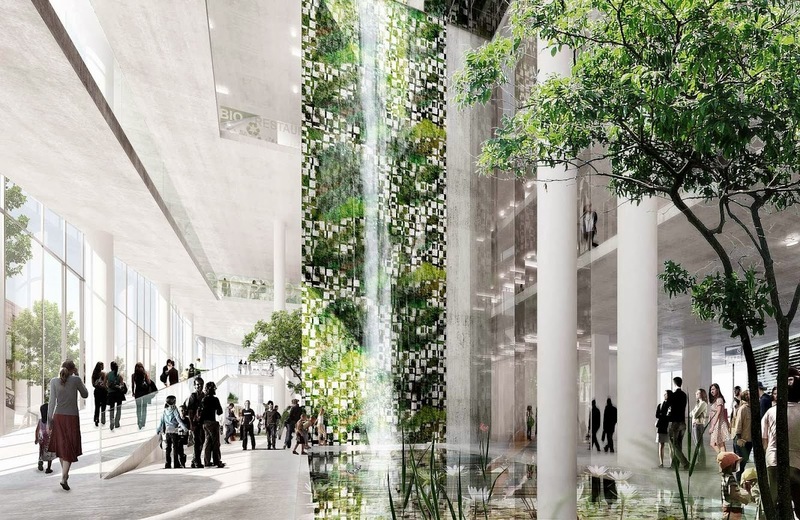 Furthermore, the design concept operates with measurable C2C goals in areas of flexibility, biodiversity and recycling of water, heat and organic waste. 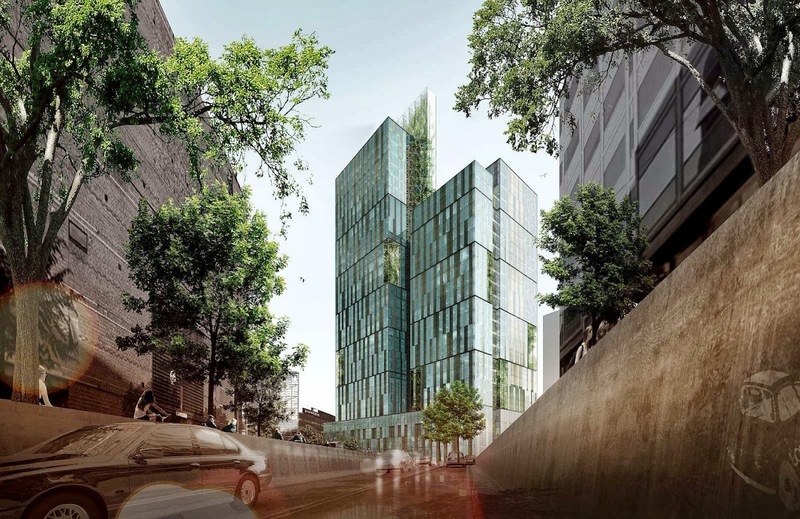 An important part of this project is to allow the sustainable measures to be visible to the users and the city, hereby raising awareness of how the building works. 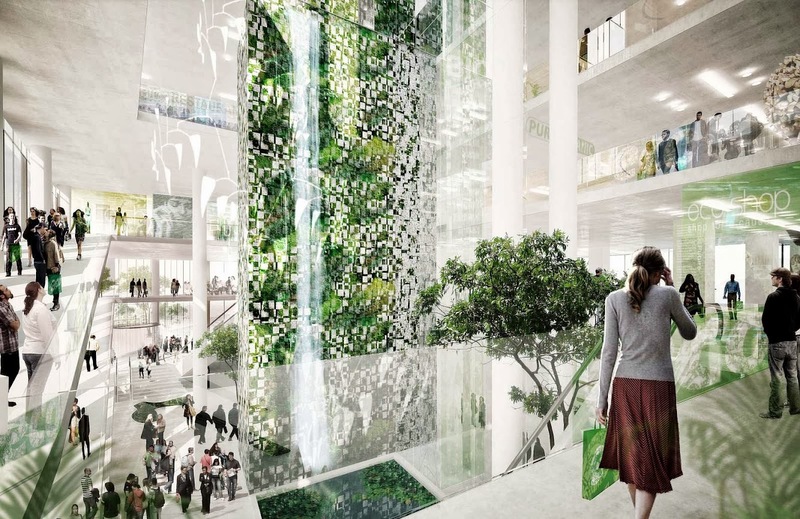 For instance the façade is characterized by a series of ‘green lungs’. 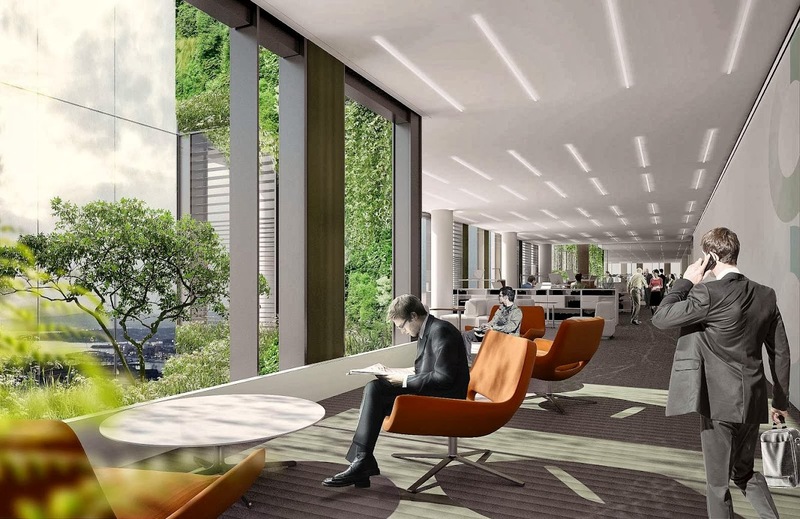 The ‘green lungs’ are an innovative part of the natural air intake in the building. With the use of regionally found plants, the ‘green lungs’ contribute to enhance biodiversity locally and to create a better and healthier indoor climate. the green plants clean, humidify and reduce the Co2-concentration of the incoming air for the comfort of the staff and visitors. Solar chimneys run from the bottom to the top of the building. A greenhouse on the rooftop captures and reuses the excess heat of the building and the solar heat gain of the solar chimneys. 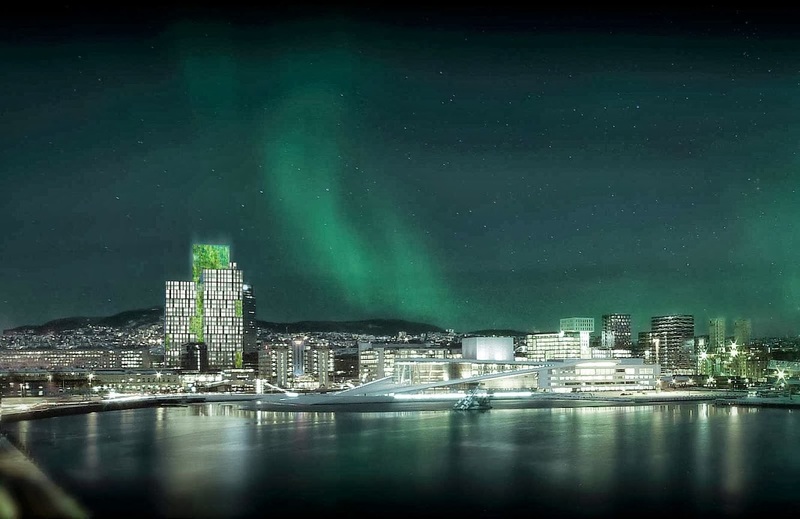 the result is a recognizable building design – a sustainable landmark in the urban setting of the Oslo skyline. 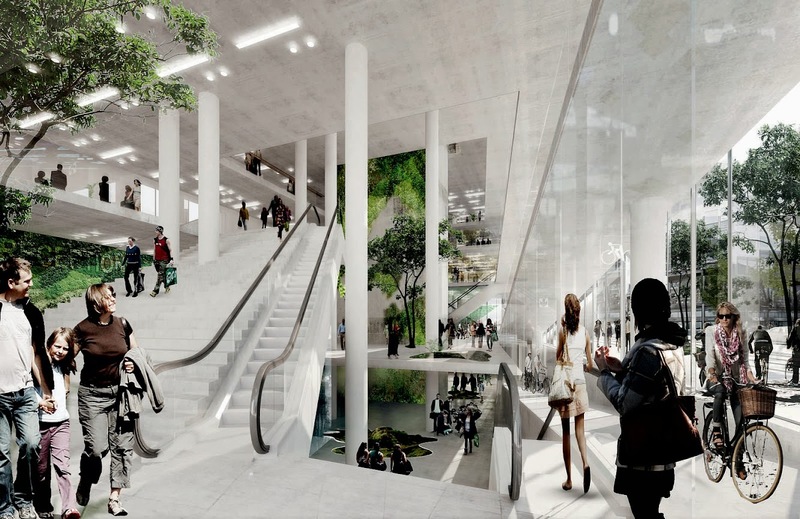 Another example of visible sustainable solutions in the building is the innovative ice storage, which can be viewed through a large window by people going to and from the metro station. the more than 1000 cubic metres ice storage is used as a heat source in an adapted heat pump design and as a source of direct cooling during the summer. To integrate the office building into the local community at street level, public access is given through an Urban Green Mall, selling healthy quality food and locally produced products. Here, people will meet and interact in the large atria, on terraces, in cafés and restaurants.